Fall is unofficially here and you can finally run outside since the weather is cooler and enjoy the natural lights and sunshine. Studies have shown that spending time in parks can calm the mind while changing the way the brain works in ways that improve mental health. Other research has indicated that people who run on treadmills burn less energy than those who run the same distance outside, mostly because there is no wind resistance and changes in terrain. But you need the right gear to make running outside a fun and beneficial experience so you don’t quit after a week or get injured. Water and wind resistance fabric is key and the right pair of socks can be the difference between a good training session and hurt feet. 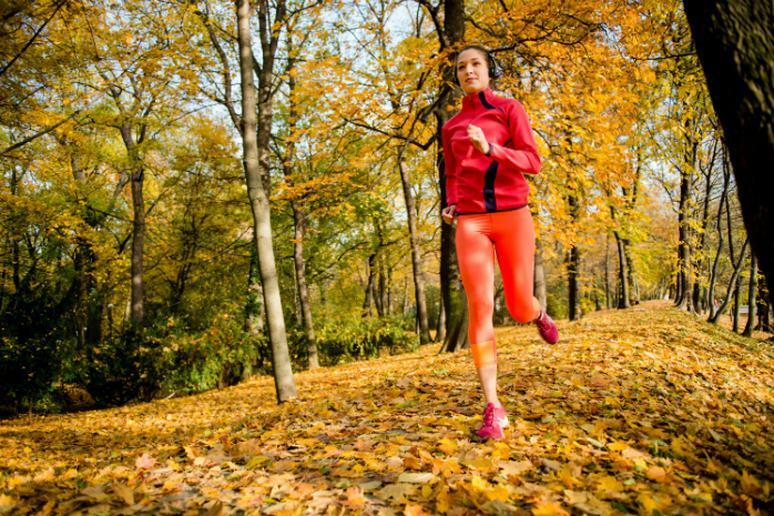 Even people, who don’t like running, will like jogging surrounded by bright and colorful fall foliage displays. It gets even better. You actually need shockingly low number of miles under your belt a week to get healthy and stay that away, according to a recent study. Less than a mile a day – for a total of six in seven days – will do. Serious runners won’t let cold weather, rain or wind stop them from getting some exercise in because they have the proper gear to run safely in any conditions.